As I’m in the midst of a move, and most of my gaming stuff now lives in cardboard boxes, I thought I had to release it, even though it’s not completely played through. And those knowing they are playing, don’t read. The second rookie campaign James Bond adventure is now released, Ghost Whisperer. It can easily be changed into a more sinister 00 adventure as the plot sand well on its own. 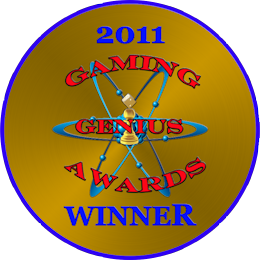 4Eyes roleplaying, winner of a Golden Pawn 2011 for best unpublished adventures, is proud to bring A FIVE RING CIRCUS to your gaming table. A FIVE RING CIRCUS is an adventure for the old but great role playing game James Bond 007™ by Victory Games. As usual the adventure is free a free download. To celebrate the release of this adventure for one of my all time favorite role playing games, 4EYes will hold a raffle from today running to June 30 at 23:59:59 central European time. If you make a donation to 4Yes you are in the raffle. The winner, picked randomly will win a picture, or several pictures really, of RPG character of your choice. You send me a description of you character and I will 3D render a portrait, an action scene and a top/down token to use with a Virtual Game table. This is your chance to make your character sheet shine.